I swear I don’t think I can put on a shirt or dress without getting deodorant all over it. Most of the time I don’t even notice until I am already where I planned on going, but every once in a while I catch it at home. I’ve been getting a wet towel and soaking my shirt to get the deodorant out, but then I get to go out with a wet spot. I looked it up and found a really good tip that really works!! Get deodorant on your clothes. 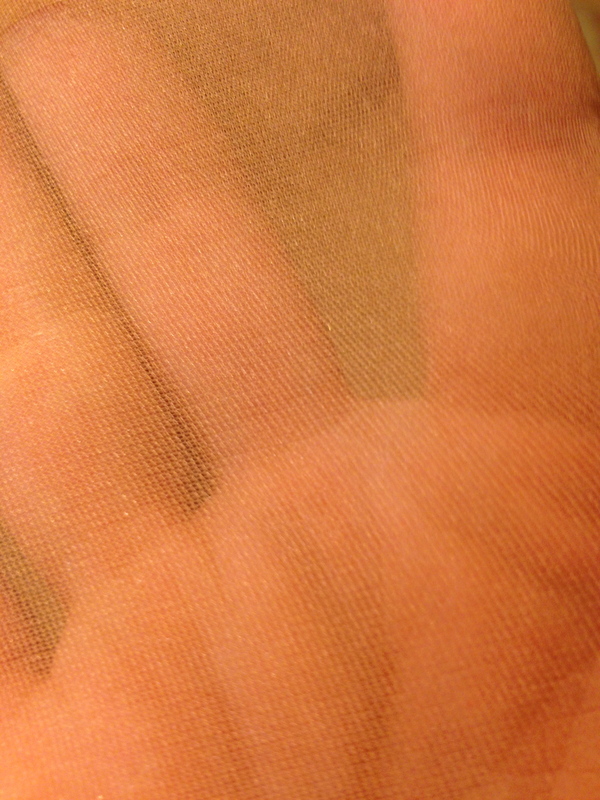 Get a nylon and put it on your hand. Rub it on the deodorant and voila! Deodorant gone!! What if you are a single guy and don’t own a nylon? I can’t go to the store and buy them! 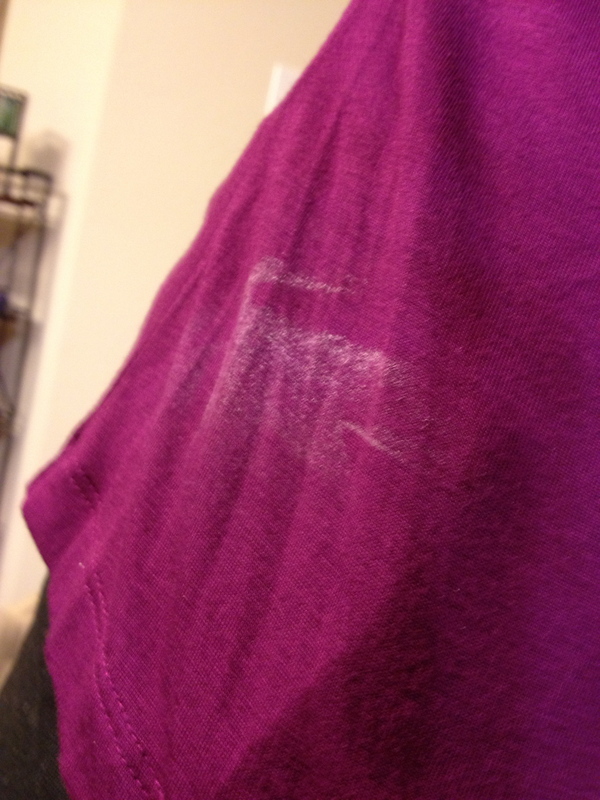 Yes, you should always have a nylon on hand for deodorant mishaps. You can also use it for bank robberies!